Epson LW-PX900 Label & Shrink Tube Printer -The K-Sun/Epson LW-PX900 label printer is the future of economical and time-saving electronic label, heat-shrink tube, and bar-code printers. 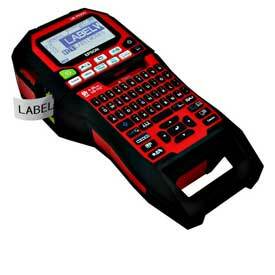 The K-Sun LW-PX900 label printer features a high-speed, 360dpi print output that creates highly visible and detailed labels, bar codes and wire identification faster and with better detail than our competitor's models*. A 4mm standard lead margin, and the ability to reduce tape waste down to 1mm is an industry leading cost saving feature†.